Preheat oven to 180°C (160°C fan forced). Grease a deep 22cm round cake tin, line base with baking paper. Place pistachios in a food processor and pulse until ground, set aside. 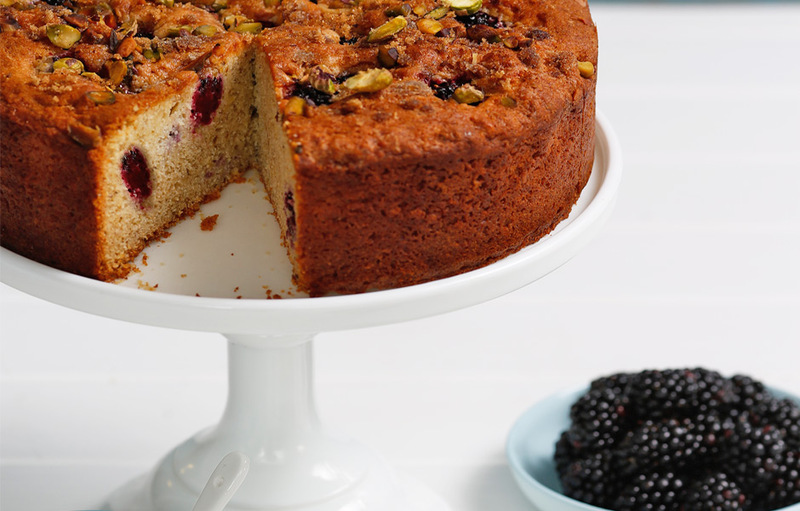 Place butter, zest and sugar in a bowl and beat with an electric mixer until pale and fluffy. Add eggs one by one, beating well in between additions. If mixture splits slightly, add a little of the flour to recombine. 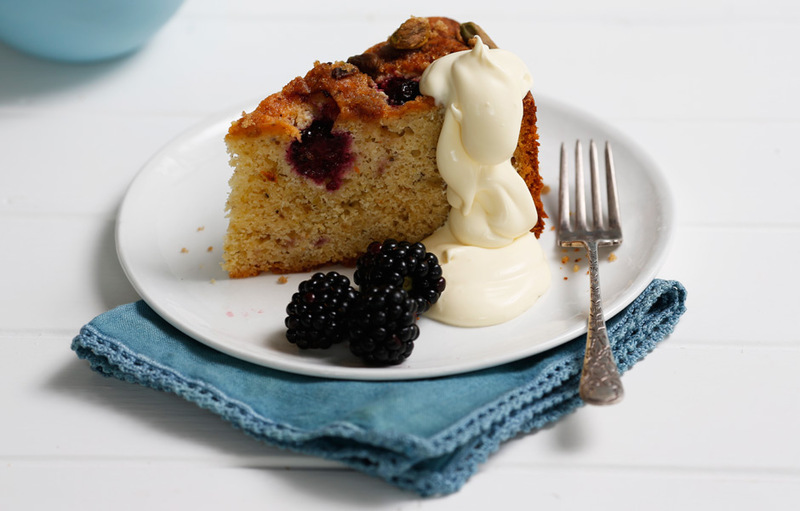 Serve cake warm or at room temperature with double cream and more fresh blackberries.